Engl aus Deutschland stellt erstklassige Röhrenamps, Combos und Boxen her. Stars wie Richie Blackmore oder Steve Morse können nicht falsch liegen. Testen Sie den druckvollen Sound von Clean bis Heavy Overdrive. Made in Germany. demanding guitarist. The preamp section of the GigMaster delivers very warm and soft tone with plenty of punch and great distortion with rich sustain. gives this amp a very organic and harmonistic sound. Welcome to the ENGL GigMaster 30. This compact tube-driven amp delivers to-die-for tone in a phenomenally portable package! Either version, Combo or Head, is your perfect sidekick for playing gigs, recording in studios, and practicing at home. It comes loaded with a bevy of convenient sound-sculpting features designed to make your musical life easier and more rewarding, including a built-in spring reverb, Gain Boost, and Master Volume Boost. This M.V.B. lets you access two different master volume levels on the fly via footswitch, for example, one for rhythm and the other for leads. Four EL84 pentode power tubes serve up the amp's sweet fundamental sound, while the preamp's ECC83 double triode dishes out lashings of overdrive and distortion. What's more, the GigMaster 30 sports two channels, Clean and Lead, to give you an even wider variety of tonal flavors. And its Mid Boost switch accentuates those middle frequencies that mean so much to the sound of an electric guitar. Six sound-shaping may be controlled remotely via footswitch, which gives you lots of tonal flexibility paired with utmost handling ease! This ingenious little amp is sure to delight with its warm, bluesy tone and assertive mids. But don't take our word for it - plug in, play, and enjoy. Combo Amp: 12” Celestion speaker, type Super 65. 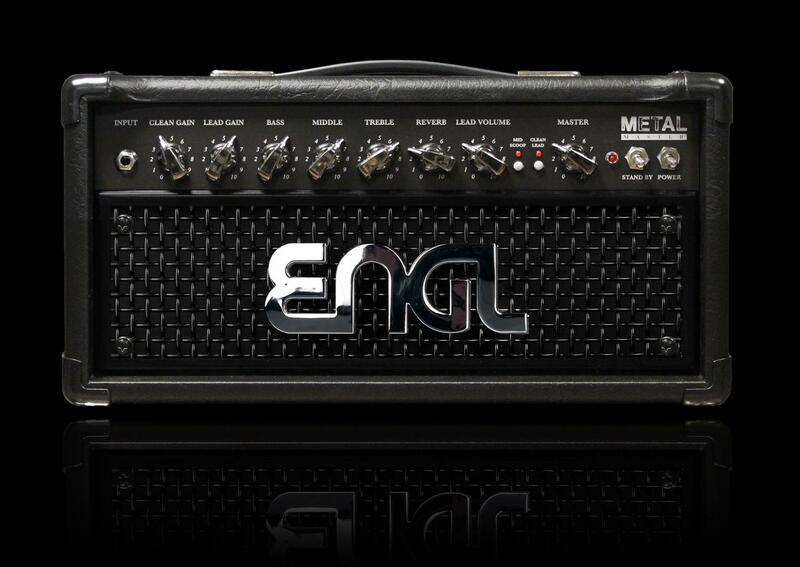 Master the challange with our new amp line starting with the ENGL ROCK MASTER and the ENGL METAL MASTER. Expect nothing less than true versatality and pure tube tones in conjuction with modern features for recording and stage purposes. Make your choice and dedicate your amp to your style. Experience all the facettes of sounds at your fingertipps. It‘s all right there. In The new ENGL Masterclass. Made in Germany! What else would you need to step in the world of ROCK than two well dressed channels of Clean and Lead Tones? The New ENGL ROCK MASTER delivers more. The built in Power Soak offers all colours of pure tube excitement and extends the tone range for each channel. Warm compressed clean tones, smooth crunch fat rhythm and lead- or even fuzz orientated sounds all in a handy format. The perfect matched EQ section including the Mid Boost plus modern features like a built in digital Reverb, the switchable FX Loop and the frequency compensated line out is the perfect base to master the sound of ROCK. What else could be more exciting for a Metal player to play a dedicated amp build for hard riffs, screaming leads and fat rhythms? Check out the new ENGL METAL MASTER. Experience the punch and dynamics and the jaw dropping overdrive / distortion. No matter if 7 string guitars or dropped tuning, the METAL MASTER delivers. Get all the ranges of overdrive from 70ties Hard Rock, 80ties Metal to 2015 Ultra Low riffing. Perfect EQ layout, pure all tube dynamics, Digital Reverb ,FX Loop and the Power Soak for all kinds of Overdrive nuances in a Hard’n Heavy design. This amp is a true METAL MASTER! The Raider sounds bigger than any other combo. Equipped with a single Celestion® Vintage 30 speaker, this amp will amaze with fat bass, huge amounts of midrange and well dressed treble. In conjunction with a 100 Watt power amp section , driven by 4 x 5881 tubes the Raider sounds like having more speakers engaged. 2 channels, Hi / Lo Gain Mode, 3-band EQ, Bright and Clean Bright Switch, Mid Boost Switch, 4 x ECC 83 preamp tubes. The basic concept of the THUNDER series was just to strip the handling to the bone but deliver convincing sounds. There you go, these handy little workhorses will do any gig. 3 channels (3 ECC 83 preamp tubes), Clean, Crunch, Lead, single 3 band EQ, Crunch/Lead, Clean/Lead switches. Master volume, 50 watts (1 x EC83, 2 x 5881 power amp tubes. (parallel to serial adjustable), dual footswitch jacks (Z-3/Z -4). access to all 3 channel volumes. A very punchy workhorse. Celestion® Vintage 30 speaker on board as well. 3 channels (3 ECC 83 preamp tubes), Clean, Crunch, Lead, single 3 band EQ, Crunch/Lead, Clean/Lead switches. Extra Crunch volume. clean- and soring lead sounds combined with supersonic punch and tight response in an easy to handle power package. Hearing is believing. 2 channels, Clean, Lead, 3 band EQ, Bright switch, Depth switch, Presence control, 3x ECC83 preamp tubes. Master A/B, 60 watts (1 x ECC83, 2 x 6L6GC power amp tubes). Speaker Outs (2 x 8, 2 x 16 Ohms), fx loop, (parallel to serial adjustable), dual footswitch jacks (Z-3 or Z-4). ARTIST EDITION: Perfectly designed for the sound desires of guitar hero RITCHIE BLACKMORE. Based on the successful Savage technology, this amp delivers perfect performance matched, fine tuned sounds from clean, crunch to high gain lead. A wide range of killer tones in an exceptionally easy to handle package: A sound fanaticís dream come true. Just BURN!!! Lead Presence Control. 3 x ECC 83 preamp tubes. THE FLAGSHIP: The universe of sound in a single amp, optimized for the next generation of ambitious guitar players. 6 basic sounds and 24 switchable sound options to store 128 MIDI presets. From crystal clean to smooth iazz, from Texas crunch to pounding rock, from fat metal punch to screaming leads. 100 watts of mega-power. It doesn't get much better. 4 channels: Clean, Crunch, Lead 1, Lead 2, each in modern or classic mode, mega-low punch, noise gate, 3 FX loops (one serial, two parallel), tube driver circuit (extra channel plus EQ for direct switching to the power amp), 5 x ECC 83 preamp tubes. (50 watts), Master A/B switch, Presence A/B switch, Deep Boost, electronic tube protection circuit, Speaker A/B switch. Half Power Switch (100/50 watts). Invading Your Style- customize your sound! How to surpass a successful amp concept like the Invader 100? 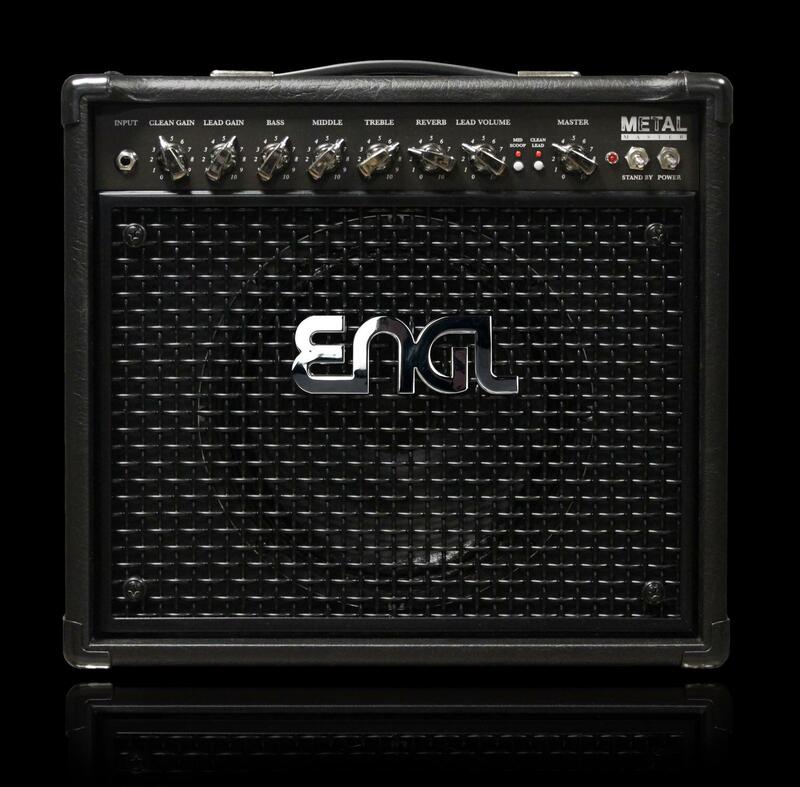 The ENGL INVADER II features an improved channel design including 2 Clean channels and 2 Overdrive channels, all switchable between a HI or Low Gain mode plus a SOUND switch that changes the character per channel. That’s a total tonal variety of 16 basic sounds. Customize your sound! / Let your sound be as unique as you are! As an option, ENGL offers the new ENGL SOUND WIZARD MODULE E-16. This module is a tone hunters dream come true. Inserted in the back of the amp, the modules offers 12 Sound Options for all 16 basic sounds to customize and fine tune the desired tones. Invade your amp sound- customize your tone! 4 channels, 3stage EQs incl. logarithmic treble curve, Sound Switch for all channels, separate gain & volume controls for each channel, HI / LO Gain switch for each channel, Noise Gate with Threshold adjust, 2 parallel FX loops programmable via MIDI, 4 x ECC 83 / 12 AX 7 preamp tubes. Tuner Out activated via Standby switch. Volume Ratio Control to balance volume between HI/LO gain modes. 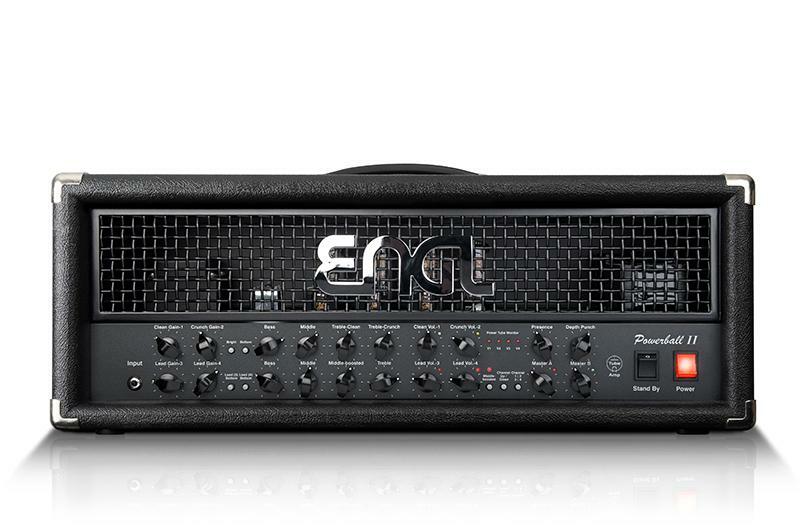 After a year of constant research and development in the ENGL sound lab, ENGL proudly presents the ultimate amp Steve Morse was seeking: The new E 656 Steve Morse Signature 100. Whether performing hard rocking riffs in Deep Purple or more complex playing in his solo appearances, this amp was designed to deliver the high end guitar sounds the world class guitar hero was asking for. Combined with the amp features that made ENGL an industry standard, and outstanding German craftsmanship, the Steve Morse Signature amp will bet the perfect sound machine for dedicated guitarists and tone gurus ñ just like Steve Morse. 3 Channels, 3 band EQs for Channel 1 & 2, MID CONTROL MATRIX with 8 different Midrange voicings, separate Gain & Volume controls for each channel, Hi / Lo Gain switch with global access, Tone switch with global access, Noise Gate with Threshold adjust, 2 parallel FX loops programmable via MIDI, 4 x ECC 83 / 12 AX 7 preamp tubes. Tuner Out activated via Standby switch. 100 Watts (4 EL 34 tubes), Master A / B switch, Presence & Depth Punch control for power amp sound shaping, Electronic Tube Protection circuit and power-tube monitoring system. EVOLUTION: No compromise, ultra low end, versatile ROCK/METAL amp. 4 channels lead to where no ENGL amp has gone before. The Sonic Evolution of ENGL sounds, from crystal clean to crispy crunch ñ tight fat rhythm to punchy lead sounds in conjunction with low bottom end to satisfy the needs of the modern guitarist. Rich harmonics and fast attack delivered by special built transformers to cut through on any stage or recording situation. Four EL84 pentode power tubes serve up the amp's sweet fundamental sound, while the preamp's ECC83 double triode dishes out lashings of overdrive and distortion. What's more, the GigMaster 30 sports two channels, Clean and Lead, to give you an even wider variety of tonal flavors. And its Mid Boost switch accentuates those middle frequencies that mean so much to the sound of an electric guitar. Six sound-shaping may be controlled remotely via footswitch, which gives you lots of tonal flexibility paired with utmost handling ease! This ingenious little amp is sure to delight with its warm, bluesy tone and assertive mids. But don't take our word for it - plug in, play, and enjoy! The new ENGL E 646 Victor Smolski Ltd. Unique and remarkable design and awesome signature sounds wrapped into snakeskin. 100 watts of 6L6 power tubes trapped behind hand-soldered iron chains. Adjusted and dialed in for the modern metal guitar player. Four channels of pure tube attack power deliver the widest modern range of tones you can expect from an amp. The E 646 delivers the fastest attack, punchiest rhythm, breathtaking furious lead lines and the most modern, sparkling clean sounds available. The amp also bears the smooth, sonic transition of well-selected channel layouts including an adjustable Mid Boost switch in order to create modern rock tones from sustained shining clean to a vintage vibe crunch sound. The S.A.C. switching control gives you easy access to all available sounds just a footstep away. 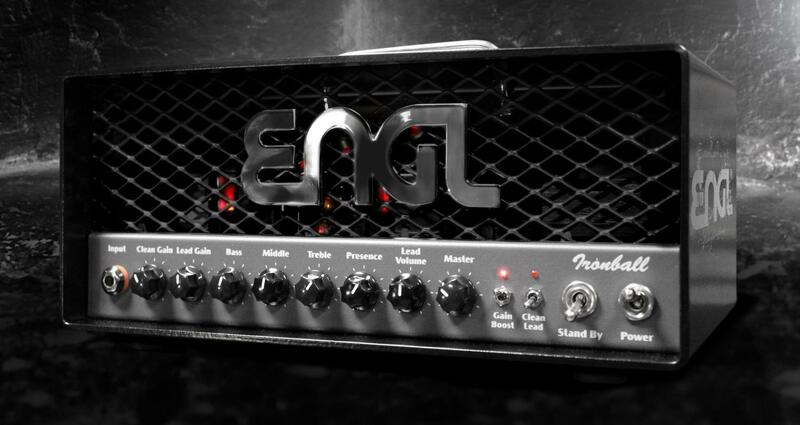 The new ENGL Retro Tube 100 head features two channels of retro sound variety. Channel One offers warm and silken or well-dressed, sparkling clean sounds and very harmonic crunch sounds with ENGL's version of Class A character. Channel Two is a perfectly suited warm overdrive channel offering a wide range of retro tones for the ambitious guitar player. 100% cutting in the studio. 100% convincing on the stage. 100 watts of Retro Tube power. It's so organic, it's almost alive. It all started in 1996 when the ENGL Ritchie Blackmore Signature Amp was released and a legend was born! It is to this day one of the most beloved and successful ENGL amps. In collaboration with none other than Doug Aldrich ENGL built a special amp in 2005, based on the E650. The concept was clear: simple handling with maximum performance. Some alterations were made, including a change to EL34 tubes and after some coming and going between Germany and the USA the perfect version in terms of sound and dynamics was designed. For quite some time now this amp is sitting in the Los Angeles ENGL Showroom and is still in use for studio sessions. Within a short time, word got out about this version and artists such as Jimmy Page, Ken Hammer, Vivien Campbell, Paul Stanley and Scott Gorham put in their orders. Jimmy Page still has his in the studio. You can also hear the great sound live on stage with Paul Stanley (Kiss), Scott Gorham (Black Star Riders) and Ken Hammer (Pretty Maids). After so many years and dropping jaws we finally decided to unleash this beast to the outside world. Expect nothing less than true versatality and pure tube tones in conjuction with modern features for recording and stage purposes. Make your choice and dedicate your amp to your style. Experience all the facettes of sounds at your fingertipps. It‘s all right there. In the new ENGL Masterclass. Perfect EQ layout, pure all tube dynamics, Digital Reverb ,FX Loop and the Power Soak for all kinds of Overdrive nuances in a Hard’n Heavy design. This amp is a true METAL MASTER ! The new dimension of power for the new generation of guitarists, ultra fat bottom end, lots of headroom, tight midrange and shining treble. Slanted baffle board. Less midrange, full bass response, silken treble. Very modern sounding. Wood: Particleboard plus Siberian Birch baffle board. The powerful E110 Cabinet is really able to match up to the big ones. Less midrange, full bass response, silken treble. Less weight but fat sounding! It is not only the perfect match to the E768 Retro combo, you can also play it with small amps like the Ironball and will get a really nice, warm and creamy sound! The speaker inside is the Celestion Heritage G12-65 which is made in England!